Plants are one of the most important parts of our lives. 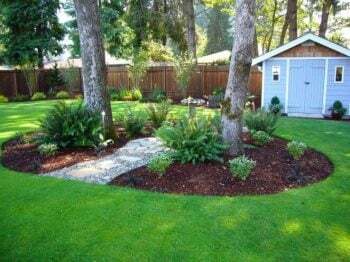 So it is very much important to have a lawn full of plants which will increase the beauty of a place and also will help with a pollution free environment. It would be a great advantage if we choose a healthy and vigorous plant to start our own lawn. These plants will not only establish faster but also will need to maintain less. This will result in a great number of fruits and beauty in our lawn. So before starting our own lawn, we have to take some time for the establishment of our new lawn. There are some important points which are needed to be kept in mind for choosing a plant. For having a perfect lawn full of plants, there should not be any insects which may damage the whole lawn. So before planting, the plants should be examined carefully from its nursery period. Getting a disease with a new plant itself becomes the disappointment one. So it is hard to learn how a new and healthy plant looks like. The best way is to check different books, magazines, and catalogues that will give some idea. The plants with dead spots, rotten stems or insects are not the plants that we expected to have. It is important to check the shape whether it is compact and full having multiple stems. We must have a look by shaking it gently. If the parts get fall down easily then it is not that much healthier. The stems and trunks make the shape of a plant. The stems should be thick and healthy in appearance and also be evenly spaced around the plant. For a pot-bound plant, it is very much essential to examine the plant’s root. If the roots are very sticky with the bottom of the pot then it will create some harass while transferring to a new pot. It might take some time to recover but will not grow with its full potential. Also, we have to look above the surface for girdling. If the roots are wrapping around the base, then those plants will not have a healthy root. The leaves must appear to be strong and healthy and having the foliage bright in color. It is to be checked for the leaf edge burned; the color is wilting or yellowing. These will inform that the plant may be stressed or simply plant is not getting enough nutrition or anything else. Even a single damaged leaf may harm the whole plant. Many will try to choose the fully bloomed plant. But if the flowering plants are bloomed fully then they will not be able to view the plant while blooming. This is to be highly experienced for Rhododendrons, Azaleas and other flowering shrubs. Some of them have an extended blooming period which makes it even more beautiful. In short, for having a healthy plant in our lawn we have to consider the above points. It might happen that after planting them the plants gets damaged for different reasons. But from buying a plant itself if care is taken it will be hugely advantageous for us. For this, the result will be a satisfactory one. The best way to experience this is the garden centre in Dublin where a huge variety of plants and species makes the place very special. Their people have been taking biodiversity conservation and sustainable development initiatives for the growth of the plants. Starting from a small plant to bigger plants, they have developed different glass houses. These will not only help the plants to grow effectively but also becomes a place for visitors to visit. If you are in Dublin or Belfast, Book Garden Help for all your gardening and landscaping needs.